Promote your product or service with a text ad campaign. A text ad campaign is a straightforward, cost-effective way to market your service and/or product. 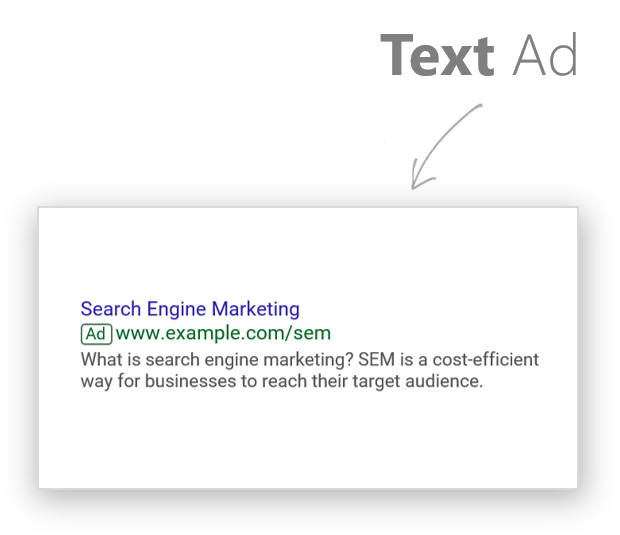 All text ads appear on search engine results. Highlight your products and/or service in a unique way. Inform users about exclusive discounts and limited-time offers. Use expressive calls-to-action to motivate your target audience.